The aim of this guide is to help you avoid as much damage from Google’s latest algorithm changes as possible. This means we will show you how to remove Google’s penalty and get your rankings back. After all the algorithm changes, Google is getting more and more restrictive with what is a legit SEO technique. 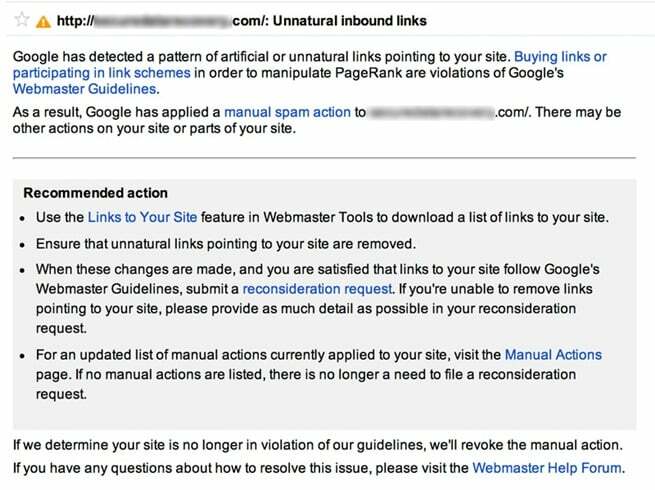 Some of you are hit with the Google Manual Actions Penalty. The consequence is a huge drop in search engine rankings and a big decrease in visits from such a valuable traffic source. Naturally, since you’ve invested a lot of resources building your rankings on Google, you would ideally want to remove this penalty as soon as possible. Different agencies can charge you tens of thousands and spend six or more months to remove this penalty and get you back on track. Many store owners were surprised by their penalization because they were sure they are using legit SEO techniques. Many SEO specialists did the same activities for their clients. If you got penalized there is a strong possibility that you used to purchase links, use spammy link farms, do anchor text optimization or do guest blogging on low authority sites. Google sees these practices as deceptive, meaning you are not trying to get natural backlinks (from someone that really likes your content), but trying to game the system. It decreases the quality of search results. Fortunately, there is a way to remove this penalty cheaply and in much less time than six months. You should be able to complete the removal process within three months. It’s very easy. Make sure you’ve added your store to Google Webmaster Tools first. 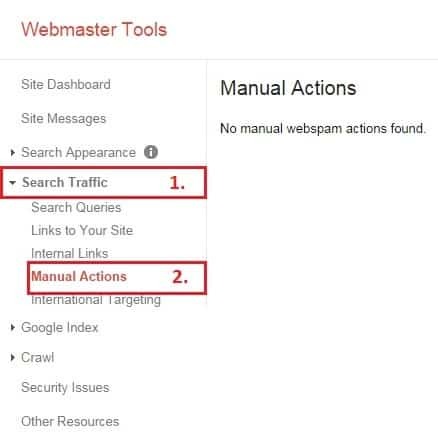 Then, you just need to log into your Webmaster Tools account and navigate to Manual Actions section. Go to Webmaster Tools and log in. Choose your store from the list. Click on “Manual Actions” under “Search Traffic” section. In this step you will need to download all links pointing to your site. You only need to navigate to “Links to Your Site” under “Search Traffic”. Under “Who links the most” you will find a preview of the list with five backlinks. Click on “More” to get a full list. Download all links to your spreadsheet. It is very important that the freelancer for this job is very detail oriented and focused person. They will do a repetitive, time-consuming task with your instructions. Here on Small Revolution, we have a whole section dedicated to managing your team. We recommend reading our guide on how to find best freelancers on oDesk. As you already have a list of backlinks you need to collect some information about every domain that links to you. That is why it’s best to hire a freelancer. It’s time-consuming and you need to focus on a lot of other activities. Once again, be sure in your choice when hiring. Since we do not know for sure which of these links appear unnatural to Google and we don’t want to remove all of them, removing lower quality ones first is the best way to go. We will filter the list by domain authority up to a certain number, remove the links and then ask for a review from Google. If Google doesn’t remove the penalty, you will filter and remove the next batch of lowest domain authority sites. First, filter all pages with domain authority of 25 or less. If the reconsideration isn’t approved by Google after removing those links you will filter all with domain authority of 50 or less and remove those. It’s best that you don’t use an email with your domain name because you want to avoid the risk of getting marked as spam. Create a separate email address on Gmail or Hotmail for this task. Have your freelancer cc you in every email so you can monitor the communication. We have recently received a penalty from Google because they find link pointing to our site unnatural. It really hurts our ranking on Google and we are now trying to remove those links. Our website url is [your store URL]. I understand this is inconvenient and this isn’t a reflection on your site at all, but if you are able to remove the links above, I would really appreciate it. It’s also good to use services like Yesware to set reminders if there is no reply for a certain number of days. If there is no reply, send a second mail. Refer to the last email and explain that it hurts your site to have those links active. Give a list of links again and explain how Google prefers to have those links removed rather than to see those links disavowed. If there is still now reply after one week, send the third email. 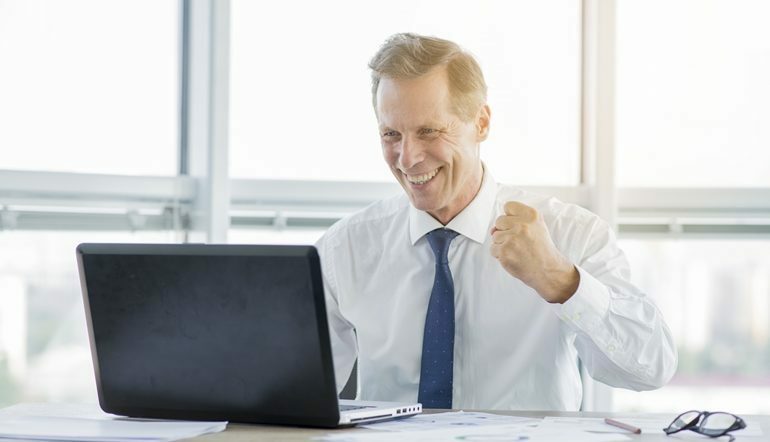 Refer to last two emails and mention that there is a chance that Google will penalize their site as well since they are following links pointing to your site. Give a list of links again and ask politely to remove them. Disavowing links simply means telling Google to not take into account those links when determining your rank. It is not a best practice, but you don’t have a choice at this point. Google also recommends it in this case. You will have to upload a simple list of links to disavow. Go to Disavow tool and upload a simple .txt file with only the links to disavow. Google will need some time to process your request so wait a week before proceeding to Step 7. Do not take this step for granted. Simply requesting reconsideration without making an effort to explain what you did to fix the problem won’t get you far. Write a full letter explaining exactly which steps you took to get rid of those links. Provide them with a link to your spreadsheet to give them proof you did the work necessary. Request a review by going back to “Manual Actions” and clicking “Request a review” button. There is a possibility that Google will not approve your request. Don’t be discouraged, it happens to the best. Just go back to Step 5 and filter another batch of links to remove. Follow the same process and after removing the next batch, submit the request again. Hopefully, you won’t need to remove the majority of your links before getting approved. You need this guide to help you check if you’ve been penalized after Google made last algorithm changes and to find out exactly how to remove in the shortest possible amount of time.